Since Colonial times, an expanse of land known as the Common Pasture, in Newbury and Newburyport has been continuously used for farming and pasturing livestock. In recent time, the legacy of this historic landscape, and the drinking water supply and recreational opportunities it supports, has faced threats from development. Working with the state, city and other local partners, The Trust for Public Land began protecting the land and its assets in 2005, when it saved Coffin's Island. The following year, TPL partnerships protected two more properties, the North Pasture, which includes the headwaters of the Little River, and Wet Meadow, in the heart of the Common Pasture. 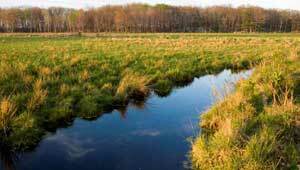 Partners included the Commonwealth of Massachusetts, the City of Newburyport, the Essex County Greenbelt Association, the Parker River Clean Water Association, and private donors.